Find My Stuff is a FREE iOS app which is designed to send you notifications if you forget your wallet, purse or other valuable item somewhere. 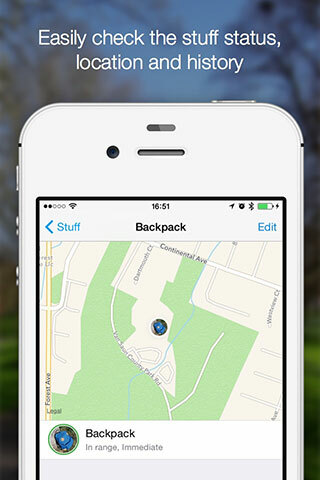 If you forget where you parked your car, Find My Stuff provides the exact location on a map. You can also find lost keys and prevent your pet from running away. With Find My Stuff, you always know where your valuables are. For the setup you need a beacon - a tiny Bluetooth tracking device - which can be attached to your valuable belongings. 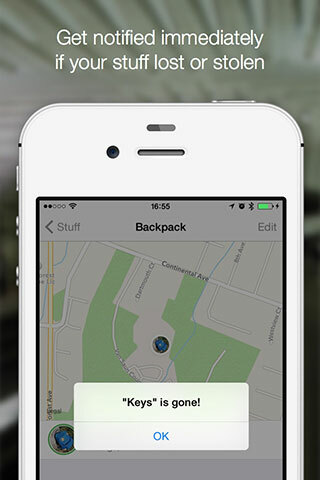 Find My Stuff communicates with beacons and knows when your stuff is in range. Find My Stuff works with any beacons from any manufacturers: Estimote, Trackr, G-Tag, Radius, HTC, Nokia etc. You can buy beacons from the manufacturer or distributor, or you can buy recommended beacons directly on our site. 1. Download the Find My Stuff in the App Store. You must enable Bluetooth and location services, as it allows the app to communicate with beacons and memorizes their GPS coordinates. Also it’s recommended to enable access to Motion Activity for higher location accuracy and to prevent heavy battery consumption. 2. Buy a beacon, if you don’t yet have one. 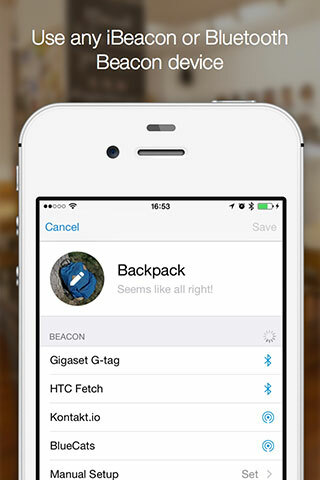 Find My Stuff is compatible with any beacon, so you can select which one is the best for you. Different beacons have different sizes and functions. 3. Tap "+" to add your first stuff item. Place the beacon as close as possible to your smartphone. Once it's detected in the list – just select it and tap “Add”. If your beacon has a power button, don't forget to press and hold it for a few seconds. 4. Stick the assigned beacon to your stuff physically. Here comes the magic, your stuff item is now embedded with an individual transmitter and will be never lost. *. You can always change the initial settings for “Notifications”. *. 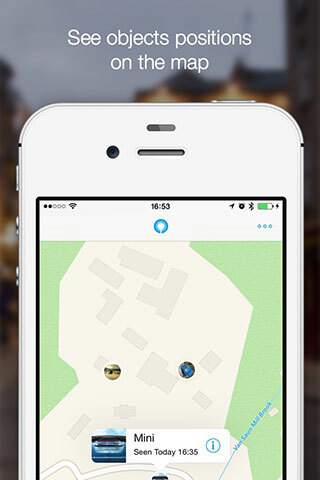 Find My Stuff is compatible with iOS 8 or later. Get a quick overview of your stuff locations on the map. Check where and when your valuable object was with you before it disappeared. When the object is apprоaching or moving away, notifications will alert you immediately. For example, if your pet is running away, you will hear the specific alert tone on your smartphone to notify you that your pet is running away. Check if your valuable item is near you or not, also you can press the Alert button, which causes the beacon to start beeping when it’s in range. Browse the history of stuff moves on the map at a certain time. Automatically disable any notifications when you’re connected to known WiFi networks like home or office. 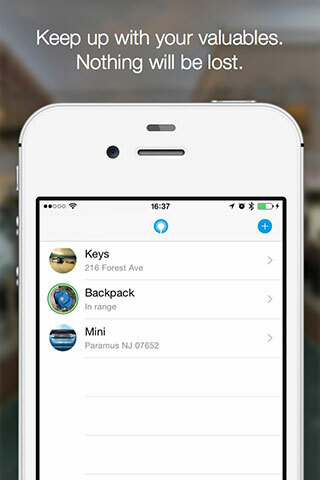 The Find My Stuff app is an open and reliable app for any beacons. You aren’t tied to any particular device with branded software. Select which beacon fits your needs perfectly and use it within Find My Stuff. * Some features may not be available with some beacon models. Check out beacon functions in the description before the purchase.